The typical family boater who enjoys a variety of on-water activities can now afford the versatility of owning multiple, application-specific propellers – just like their high horsepower, go-fast cousins – with the BBLADES 6-shooter. 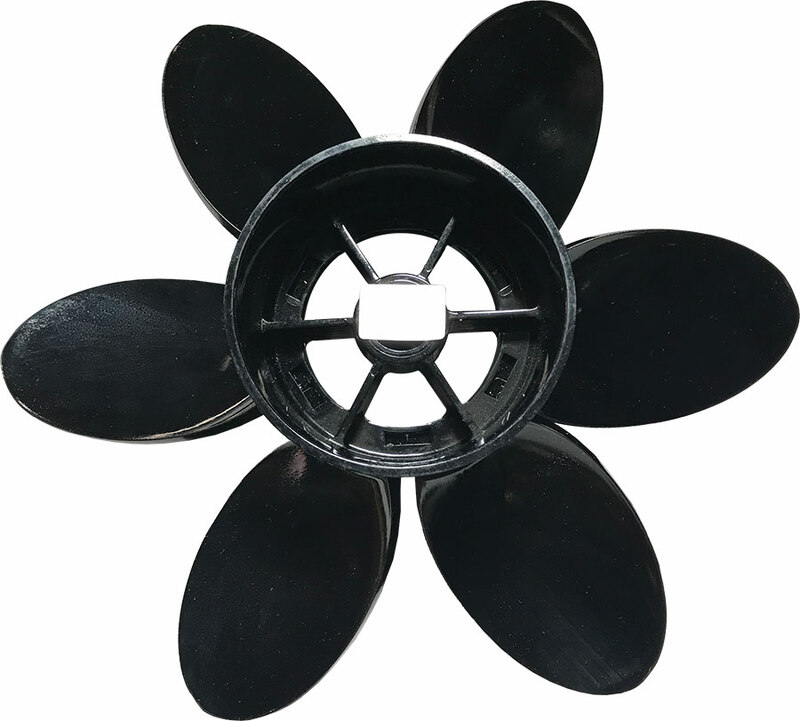 At $99, this modular, composite alloy propeller is a workhorse; perfect for towing tubers, skiers and boarders or an efficient cruise around the lake. 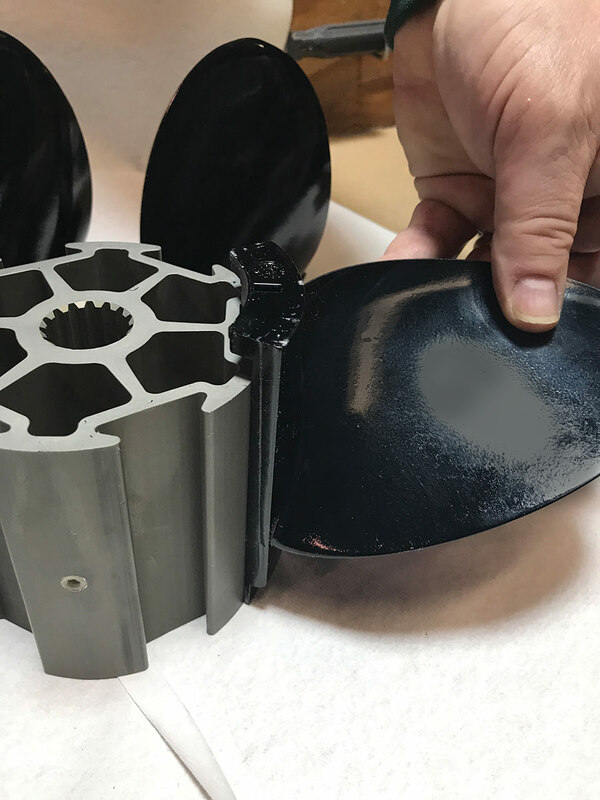 When used as a primary propeller, the 6-Shooter can be ‘customized’ to your day of boating by swapping out blades and changing the pitch of the prop while it’s on the lower unit. Replacement blades are just $10 each, so the user can have a ‘second’ propeller for just $60. Two application-specific props for less than the cost of one traditional wheel. Bowrider, runabout, and single-engine center console boaters in the 135-250 horsepower family will benefit most from the low-end torque, reduced vibration and longer life of a six blade propeller. 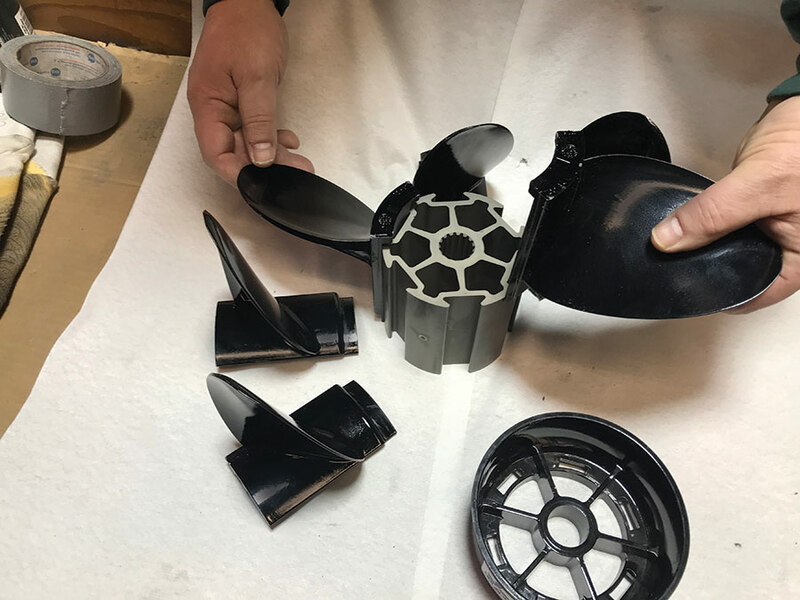 The BBLADES 6-Shooter is easy to install on Merc Alpha & Bravo I, Volvo SX, and OMC Cobra drives, as well as V-6 outboards from Mercury, Yamaha, Johnson and Evinrude, with no special tools required. Don’t let the affordable price detract from what is a finely engineered workhorse of a prop; a propeller fine enough to bear the BBLADES name. The BBLADES 6-Shooter is available in right hand rotation with 13.75″, 14″ and 14.5″ diameters; and sizes in 15”, 17”, 19” and 21″ pitches. Pitch is the theoretical forward travel of any given propeller (a detailed explanation at BBLADES.com). Adjusting pitch can change a boats performance anywhere in the rpm range. Simply put, propeller pitch controls engine rpm. A properly pitched prop, will keep the engine from over-revving and deliver maximum engine efficiency. In theory, one-inch of pitch equals 200 rpm; increase pitch to decrease rpm or improve the engine manufacture’s WOT operating limits, decrease pitch for the torque to pull hard when towing boarders or tubers. Take a 26’ runabout, for example, that cruises pleasantly around the lake with the best fuel economy, performance and handling turning a 21” pitch prop; it’s the boat’s sweet spot. But, when the kids and their friends get onboard for an afternoon of tow sports, the boat won’t get out of its own way. With the BBLADES 6-Shooter, problem solved: just remove the prop nut, washer and exhaust ring; slide the 21” blades off the prop hub, replace with 17” blades and reverse the process. It’s just that easy. The kids are on plane in no time and having a good time. If a blade is damaged it is easily and affordably replaced. 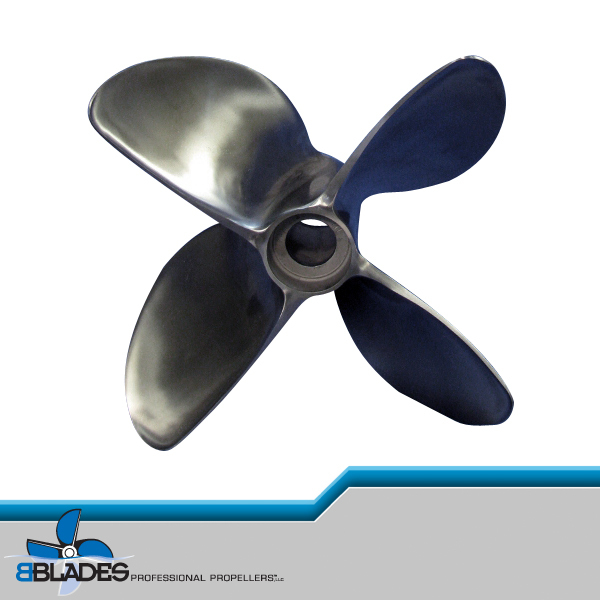 To change propeller pitch, replace all six blades without removing the prop from the lower unit. Spare blades are light-weight composite alloy, affordable and easy to stow on-board as a spare in case of emergency. 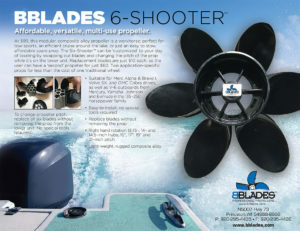 The BBLADES Six-Shooter will be on display at the Miami International Boat Show, February 15 – 19, and in connection with the show, BBLADES is giving away two 6-Shooter propellers with a set of spare blades by drawing, with details available at the company’s facebook page. 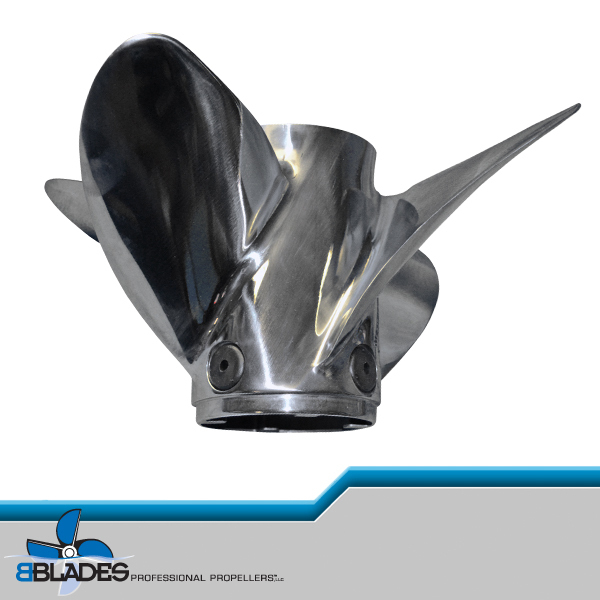 The BBLADES Six-Shooter is not eligible for the BBLADES Propeller Test Program.